Three of New Zealand’s brightest stars meet tonight in a triple threat match for the IPW Championship. Fury defends his title against Jakob Cross and James Shaw in IPW’s return to Auckland, The Rush for Gold at Mt Albert War Memorial Hall. 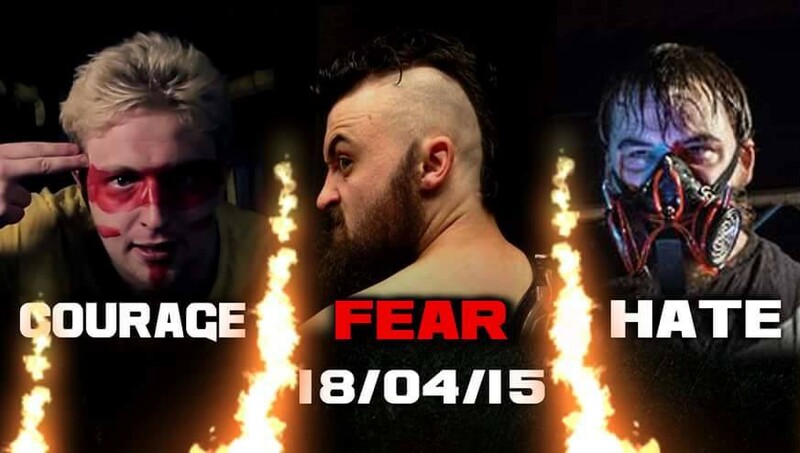 The triple threat will undoubtedly be the biggest test of Fury’s nine-month reign as IPW Champion. From the moment he cashed in his IPW Eliminator victory to take the title from Travis Banks, Fury has proven he will take any shortcut possible to retain the IPW Championship. The Investment poster-boy narrowly escaped with the title when his match with James Shaw was ruled a no contest at Year of Conflict, and deliberately got himself disqualified against Shaw at the Armageddon Expo in Christchurch. Triple threat rules mean Fury will not have his usual championship advantage in tonight’s main event. With no disqualifications in play, there must be a winner, meaning Fury will have to score a decisive win to remain champion. Fury’s title looks even more in jeopardy when considering the fact Fury does not even need to be involved in the deciding fall. Under one-fall-to-a-finish rules, Cross could pin or submit Shaw, or Shaw could overcome Cross—as he did at Nightmare Before Xmas—for the IPW Championship to change hands. Fury may have an advantage when it comes to Jakob Cross though. On paper tonight will see three men against each other, but The Rush for Gold could play out more like a glorified handicap match. Both Cross and Fury represent The Investment, indicating Shaw should be in for an uphill battle – but with the IPW Championship on the line, to whom will Cross’ loyalty really be? IPW The Rush for Gold takes place tonight, April 18, at the Mt Albert War Memorial Hall in Auckland. The card, subject to change, is listed below.